Synopsis: If you don't like boring, this is for you! 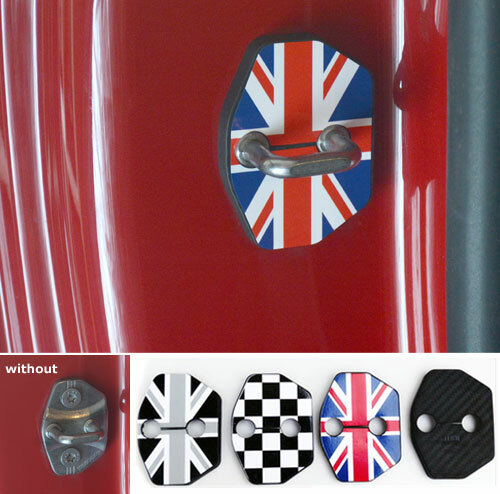 Just when you thought you were done adding stuff to your MINI, we bring you these door strike plate covers to spruce up the raw metal latches in the door jamb of your MINI. These will make an area that is otherwise a technical, strange looking bent metal oddity into a focal point. You can't go wrong. Simply pop them into place. No glue, tape or mess. Makes for a super easy, affordable and high impact upgrade the interior of your MINI. Sold a set.